Training starts on Monday, April 29, 2019. But Then Why Are You Frustrated & Not Moving Towards Your Goal? You are in Fear of the PMP exam because you've heard most people fail the Exam in their first attempt? It’s taking WAAAY too long to study for the PMP Exam? With each step forward, you take several steps back. You're overwhelmed by the number of Formulas to memorize. You're scared of forgetting the formulas too! You're Worried About Memorizing Inputs, Tools & Techniques, Outputs? With the thick PMBOK Guide & Other Exam Prep books, you're not sure where to Start. HELP! The exam's gonna change soon. Should I take it before it Changes or Wait? What Should I do??? 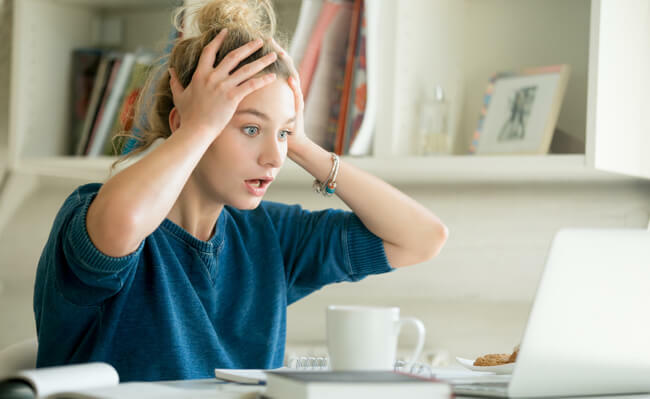 You dread failing the PMP exam Yet Again! You Know that having the PMP certification will Help your Career. But You're Stuck somehow... & Need Help, Fast! I have successfully passed the PMP exam on my first attempt. 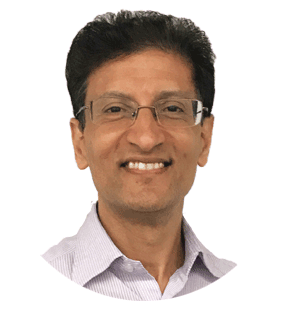 Your tips and advice have been very useful in helping me to grasp the key concepts and principles in tackling both concept-based and scenario based questions. Thank you for the all guidance and moral support to all PMP aspirants! – K Jiang, PMChamp Student from USA. 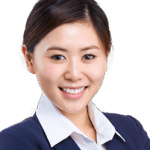 Jiang passed the PMP Exam in first attempt! Ready to Pass PMP Within 6-8 Weeks, With Zero Confusion & Maximum Confidence? Complete the Entire Study Material within 6 weeks. Even if you study only 1 hour per day! Understand How to Answer Situational Questions Quickly! Confinently Prepare for the PMP Exam & Take it Before the Exam Changes. Understand How the 49 Processes Link With the 10 Knowledge Areas & 5 Process Groups. Have a Solid Understanding of Project Management Processes & Apply them in Real Project too! Pass The PMP Exam & Become a PMP Certified Project Manager To ADVANCE Your CAREER. Spend more time with friends & family at evenings & weekends. I've designed a logical progression and workflow, so you can finally begin to understand the PMP methodology & terminology easily, in small steps. In my 30+ years as a professional Project Manager and qualified teacher, I’ve led large teams, worked with business, IT, Finance, Team leads, Project & Program managers and CEOs. I know you and I know where you’re coming from. The PMP Exam is a professional qualification that will pave the way to future success – more fame, more recognition, and even more money! But… the PMP Exam is Tough. You’ve got to have a solid game plan to study, prepare and pass the PMP Exam in your first attempt. After all, who’s got time to fail, and prepare again and again. Let’s get this done once and for all, and Get it Right the Very First Time. Period. My Step by Step Online Coaching Program is a fast-track shortcut to being able to Get the PMP Certification — professionally and quickly. Ways better than any classroom training. You accompanied me day and night with the MP3s. I wanted to personally thank you for being such a great trainer. Thanks very much again and to repeat what you tell us: All the Best ! I have passed PMP Exam yesterday in my first attempt. Your Videos, Questions and slides helped me a lot. I got many tough questions from Risk, QA and Cost area in my exam. I was able to answer them because of the way you taught us. Your video training played a vital role for passing PMP Exam. Your explanation is crystal clear. You have done a great job. Thanks for the excellent course coverage and presentation. I started referring the PMCHAMP website to my friends. I wanted to thank you once again for all the guidance and support. I passed the PMP exam in my first attempt. I am very thankful for the videos and the way it is explained. Thanks for being a crucial contributor to the PMI knowledge base for PMP students. Your website and PMP videos were instrumental in achieving my PMP certification. Kudos for a wonderful job done for the PMP certification and the Project Management profession. The PMChamp Online PMP Training is a Proven Methodology To Get You Success in PMP Exam. It is designed to transform YOUR PMP confusion into confidence. A structured, step by step, daily action plan. Pre-recorded videos on the topic of the day, for you to watch first. You can download the videos too, and watch them anytime, anywhere – on your Mobile, on your Tablet, or on your Laptop. Get help, advice, support and share progress with me and your fellow students. Post Questions & Clear doubts asap. I’ll answer your questions LIVE and help you sort any roadblocks. The first call will be at the beginning of the course. The second call will be about 3 weeks later. Date & Time will be communicated to you. Do atleast 10 questions daily, at the end of each session. 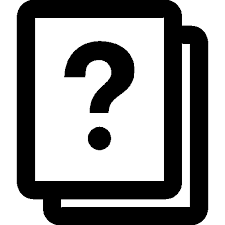 Do mini tests after each Knowledge Area. 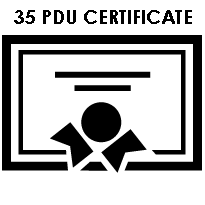 PMCHAMP will issue you with a 35 Contact Hours certificate, which is sufficient for meeting your educational requirements at PMI. Other Resources to expand your knowledge on KEY Topics. List of PMP Questions on topic learned each day, with detailed answers, to test your knowledge, learning and be ready for the next stage, each day. A worksheet to Monitor Your Progress each day. Link to Download the day's lesson videos and material at the beginning of each day. Accelerate Your Career With PMP Certification. But this is NOT one of those "You're on your own" courses! 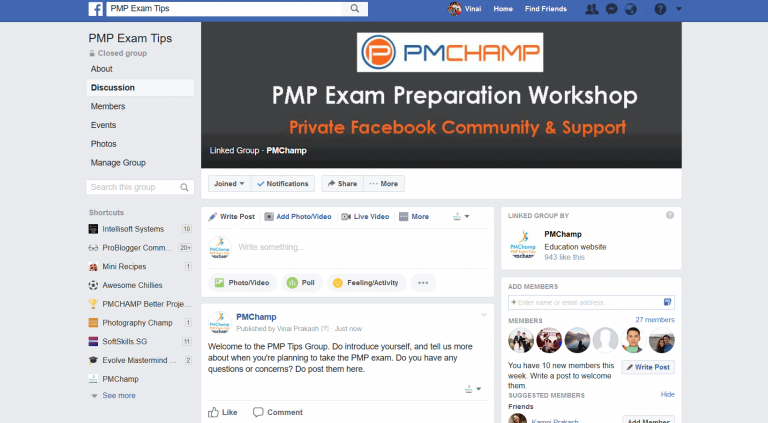 You’ll have a full year’s FREE access to thePMCHAMP PMP Examp Prep private Facebook community. Share ideas and get help & support from me and your fellow students. It’s a small, friendly group of awesome human beings who are all delighted to advise and help. And I’ll be popping in a few times a week to respond personally to your comments and questions. I won’t leave you to study through the course on your own—your success is more important to me than that. So over the next few weeks, you’ll be able to join 2 separate group Q&A coaching calls. I’ll personally answer your questions and help you get more clarity. The price will go away once it expires. 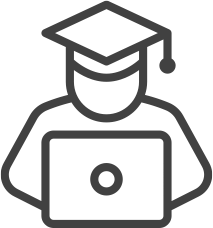 Ready to Get Started on the Fast Track to PMP Certification? This course starts on Monday, April 29, 2019. I want you to be off-the-charts delighted. If the course doesn’t meet your needs, I’ll give you your money back. No questions asked. Zero risk on your part. I want to say THANK YOU for all your guidance and mentoring, I may not be able to achieve this without your help. THANK YOU! I am excited to let you know that, I am a certified PMP now, Thank you for all your support in helping me make it happen. Your materials and practice tests are extremely helpful, I will highly recommend you for anyone looking to get PMP certification. Thanks Again! 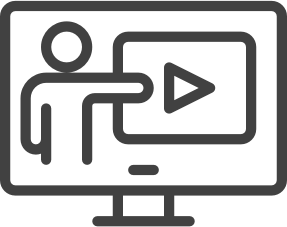 This training with all video lessons, group conference call, and answers to your questions will be provided by me, Vinai Prakash. I am a PMP myself. 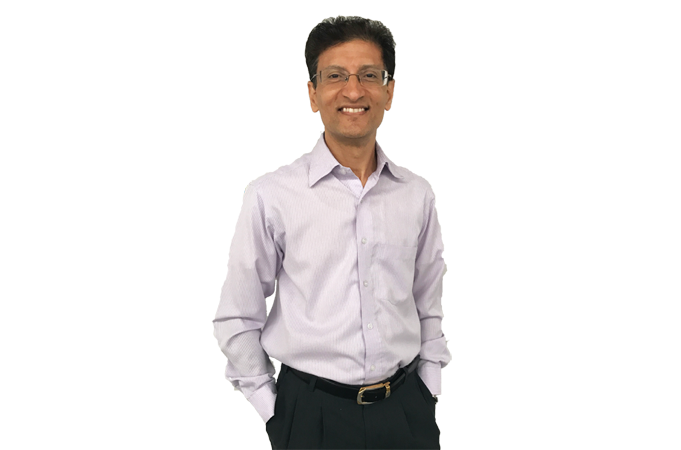 I started the PMCHAMP website to help PMP aspirants like you for the past 15 years. I have over 30 years of experience in managing large and small projects, and I love to train and coach people to achieve their dreams and be a certified project manager. 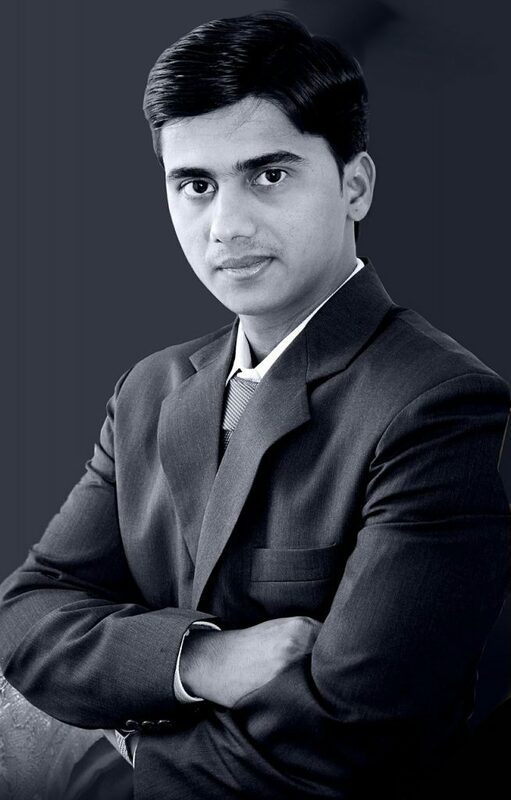 Do see the testimonials of some of our thousands of students who have taken our PMP training and passed the PMP exam.